Fall is here again, and whether you’re a longtime resident or new to Chattanooga, the beautiful colors and refreshing temperatures of our East Tennessee fall are invigorating to the mind, body and spirit year after year. Whether you like to explore in nature, find ways to be festive, or enjoy the flavors of the season, here are our top 10 ways to experience fall in Chattanooga. 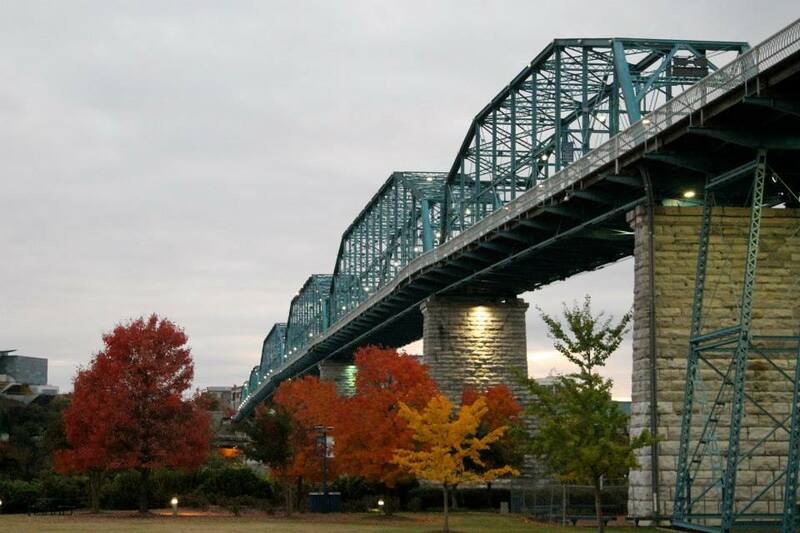 Enjoy the fall colors against the contrast of our world-famous Walnut Street Bridge in Downtown Chattanooga. Pack a picnic lunch for Coolidge Park, ride the carousel, walk along the longest pedestrian bridge in the U.S. over to the Hunter Museum and enjoy a meal or dessert in the Bluff View art district. 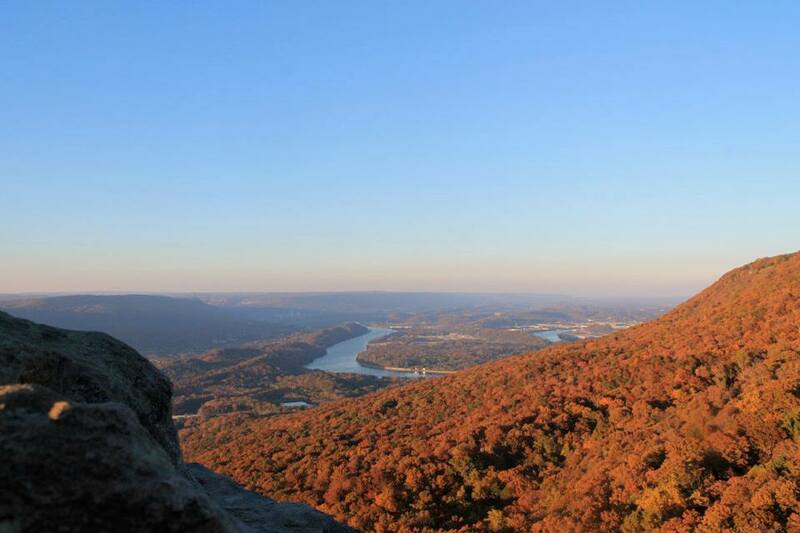 There are always inspiring views around Chattanooga, but perhaps no more than during Fall. It’s a seasonal favorite, but in our opinion, you’ve not experienced real pumpkin latte bliss until you enjoyed one of these beloved seasonal drinks from Milk and Honey. The locally owned sweet shop and cafe boasts an array of Fall treats sure to inspire your taste buds. Choose from Pumpkin Cheesecake gelato, an assortment of caramel and pumpkin baked goods (including some gluten free options), and a Pumpkin Latte that’s out of this world, crafted from local Cruze dairy milk and whole ingredients. If you love fall and are obsessed with all things #PumpkinSpice this is a great place to kickoff the season. Ready to feel like a true Chattanoogan? The Scenic City has become well known for its outdoor beauty. 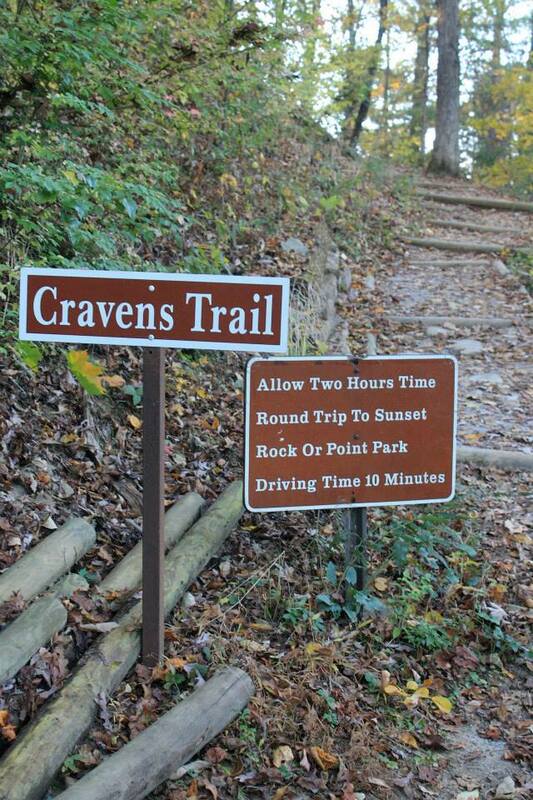 For a view that will really take your breath away, and not just during the two hour hike, start at Craven’s House and hike to Sunset Rock for a panoramic view of incredible fall colors against the majestic Tennessee River. The hike is actually fairly easy to moderate, just dress in layers, wear good shoes, and bring your camera. There’s one phrase that best describes River Rocks and that is “so Chattanooga”. River Rocks is an annual event that celebrates so many of the things Greater Chattanooga residents like best, including but not limited to the outdoors, live music, fitness, competition and fun. This year’s River Rocks is a partnership with River City Kites and adds to the mix another favorite local element – art – since the event will take place at Sculpture Fields. Kites as large as 20 feet long will fill the fields for an inspiring day of color. There will be activities for kids, food trucks, a beer tent and more. This week of events may not be about pumpkins or Halloween, but as a resident around Gig City, there’s a good chance you’re excited about the area’s growing entrepreneurial ecosystem. Startup Week has been going for five years strong and boasts an array of events that inspire innovative thinking with takeaways for virtually any industry. New seasons are always a great time to take a page from nature’s book and do some shedding of the old to make way for the new, and this week is filled with “hacks” to help participants live, work and play in a more meaningful way. Startup Week is filled with local and visiting experts in their fields, thought leaders, founders, venture capitalists, tech gurus and beyond. If you’re new to Chattanooga, it’s a great way to get connected, literally and figuratively. Even if you’re new to the area, you probably saw “See Rock City” on barn rooves at some point somewhere in the United States. Fall is a great time to “see seven states” and see them bathed in breathtaking jewel tones. At the foot of Lookout, you’ll find Blowing Springs Farm, the home of Rock City’s Enchanted Corn Maze. If you’re looking for some frightful fun this fall, Ruby Falls Dread Hollow will take visitors on an interactive journey through 20,000 square feet of chills and thrills. Designed by the creators of Ruby Falls Haunted Cavern, it’s sure to get you in the Halloween Spirit. Beware: This “extreme haunt experience” is recommended for ages 12 and up. All aboard! Jump on a train at the Tennessee Valley Railroad Museum and take in the beautiful sights on any one of the regular trips, or checkout the Halloween Eerie Express for a Halloween take on Chattanooga’s rich “choo-choo” history. You’ll be on the right track to experiencing the best of fall, headed full-steam ahead into a festive mood for the holiday season. Looking for something more low key? Discover the sights and sounds of the The Cleveland Apple Festival. After all, Fall isn’t just about pumpkins. Enjoy apple ciders, pies, turnovers and more at this much-loved festival. With an abundance of free activities for kids (including pony rides! ), the festival in Cleveland, TN is a day of simple, country pleasures. From arts and crafts to music and dance, this old-fashioned fun is appropriate for the whole family. Fall is a great time to explore locally and regionally. For even more ideas for ways to make the most of fall this year, check out this recent article by The Chattanooga Times Free Press to learn more about activities happening all over the area.